In the distant northern Iran lies a giant stadium sunken into the slope of extinct volcano. 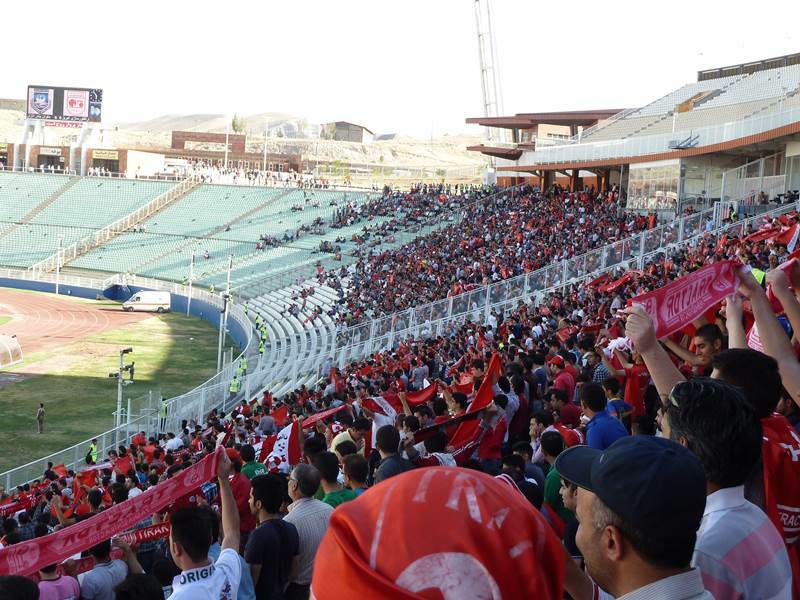 One of western Asia's most impressive stadiums has just joined StadiumDB! 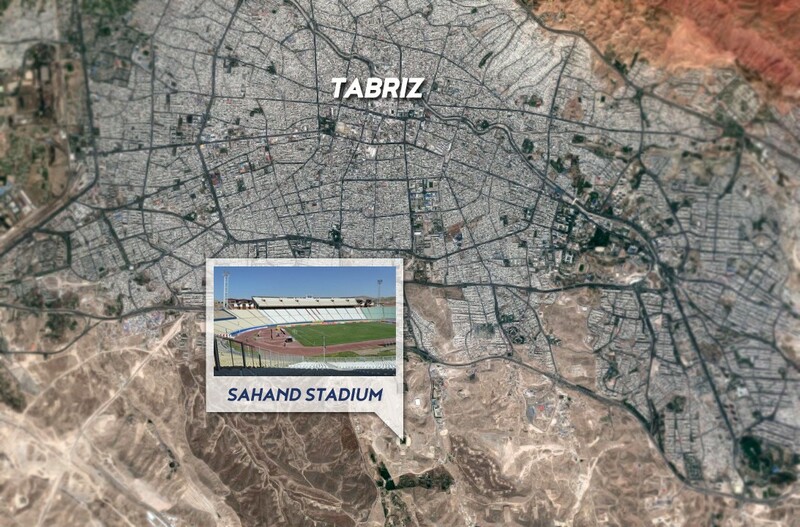 South of Tabriz proper, in the Iranian province of East Azerbaijan, lies one of the country's most impressive stadiums, part of a larger sports complex. 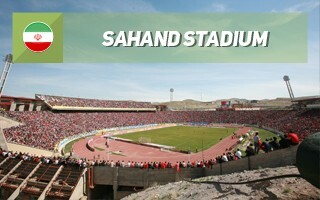 Yadegar-e Emam Stadium is placed at the basis of an extinct volcano Sahand, incorporated into its north side. Due to its size and logistics construction lasted 7 years, ending in 1996, though it should be said that long construction is typical of large Iranian projects. The stadium is used by local team Tractor Sazi and was designed to make maximum use of natural topography. All of the massive lower tier is based on sloped land, without the need for significant foundations thanks to thick rocky undersoil. The auditorium, with typical oval shape allowing for full Olympic infrastructure inside, lowers towards the north, creating an opening, a symbolic gate to the city. This is where bulk of fans access the stadium. 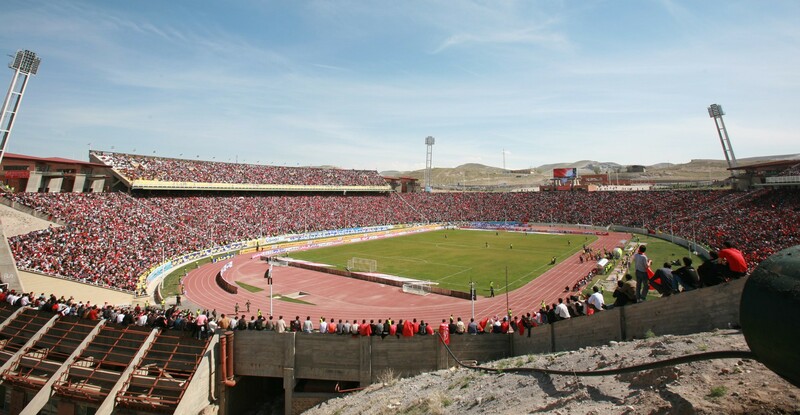 It was one of the first Iranian stadiums to have a hybrid field, having undergone a major renovation and expansion in 2010. During the works it gained additional 5,000 seats and under-soil heating system. New floodlights were also installed, though the 600-lux lights proved flawed and caused numerous issues during games. In order to make the stadium compliant with AFC Champions League regulations, in 2012 all of the lighting was replaced once more. 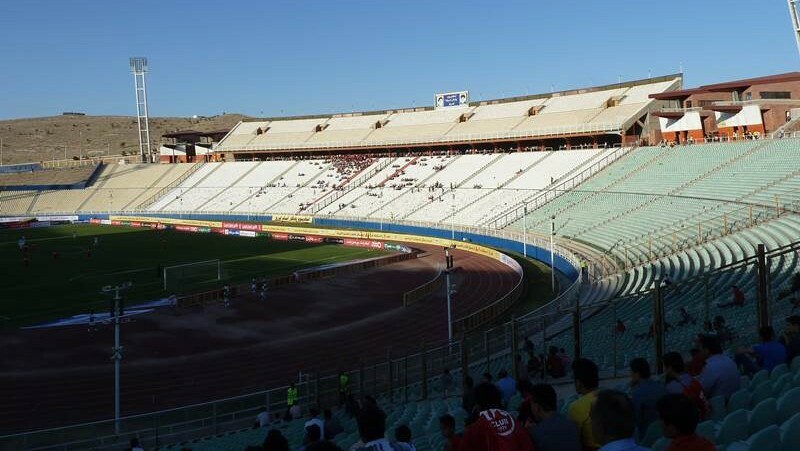 It became only the second Iranian stadium after the famous Azadi to have LED screens, though they were removed in unclear circumstances in 2013. As the first stadium across the country it was served by electronic ticket system. As one of the most impressive venues in this part of Asia it played host to numerous international games, both in club tournaments and national team qualifiers.